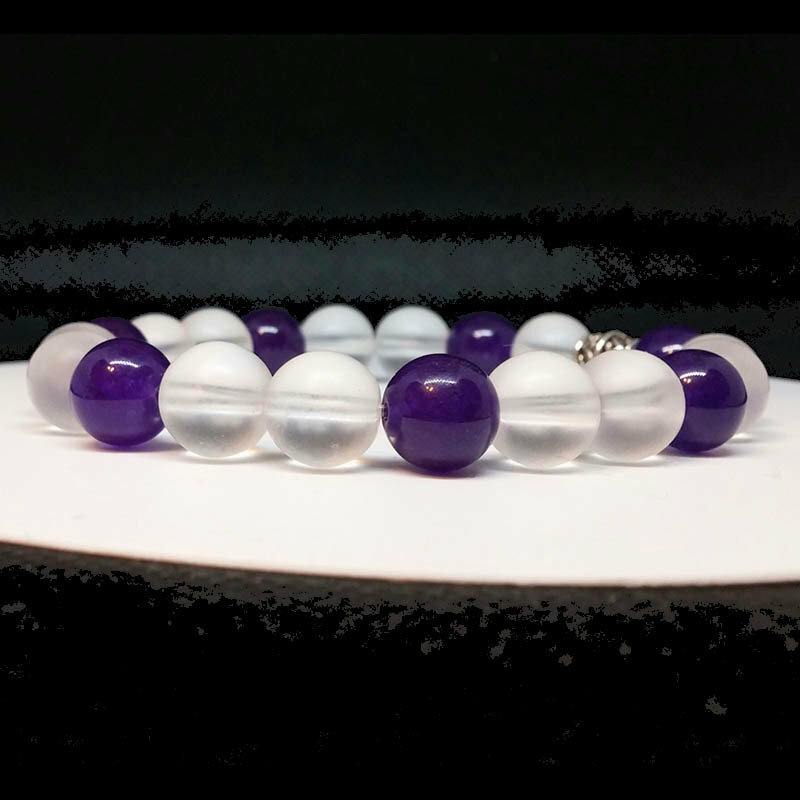 Deep purple Russian amethyst beads accentuated by frosted crystal quartz or moonstone beads create an elegant and healing combination. 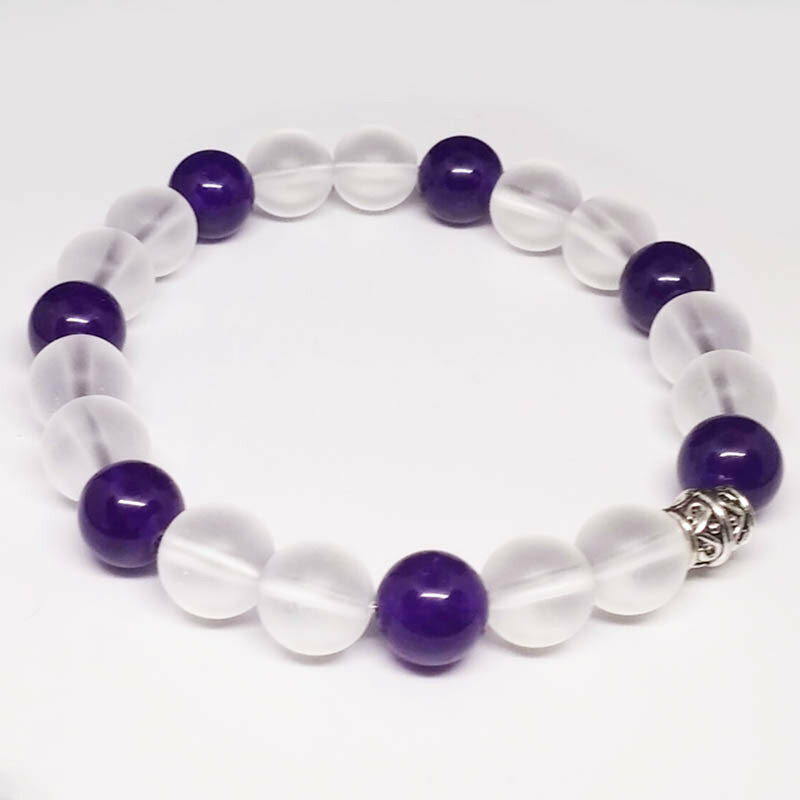 Amethyst stimulates and promotes healthy function of the sympathetic nervous system. Its vibrations emit a calming and soothing energy to the brain, slowing overactive neural impulses. 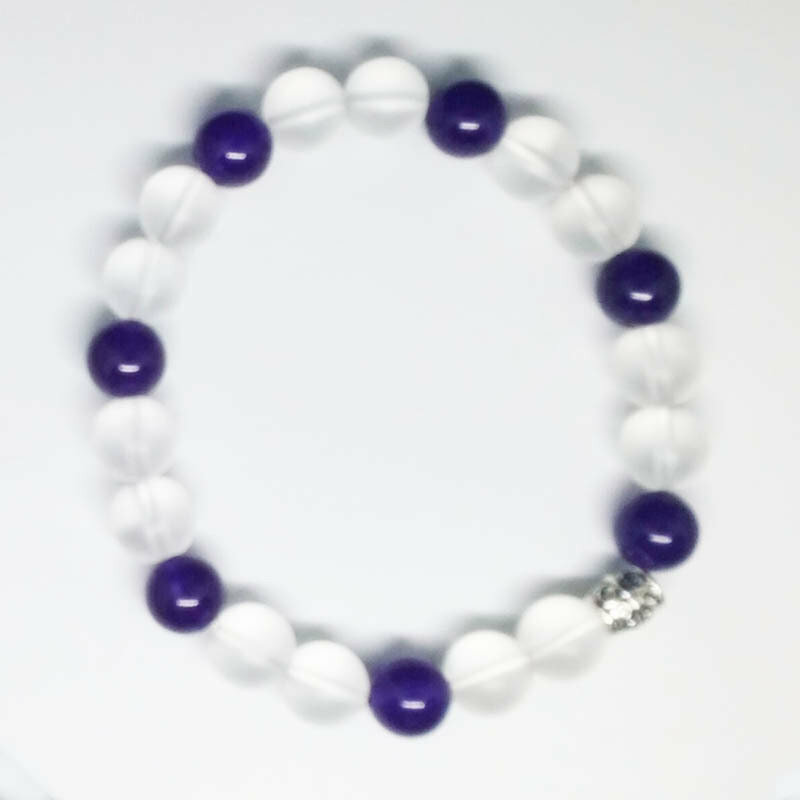 Its healing energies are used to help relieve or eliminate headaches and migraines, as well as reduce stress, anxiety, and tension. Amethyst has been used by people suffering from tinnitus and other conditions affecting hearing. It is also regularly used by those who have problems sleeping due to insomnia. It is particularly effective at helping to relieve insomnia that is caused by an overactive mind and repetitive thoughts.